North Kingstown, R.I.-based discount retail chain Ocean State Job Lot is buying a former Toys R Us location in Salem, NH, as part of a purchase of six former sites owned by the now-shuttered toy retailer. The Salem location is at 16 Veterans Memorial Parkway. It will be Ocean State’s 11th in New Hampshire. Ocean State also is taking over two other Toys R Us locations in New England – in North Dartmouth and Brockton in Massachusetts – as well as three in Pennsylvania, which will be a new market for the chain. Ocean State purchased six of the locations and is leasing the site in North Dartmouth. 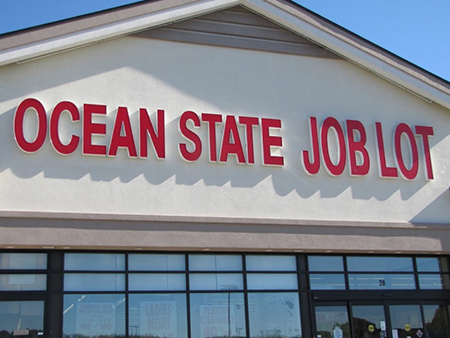 Ocean State currently operates stores in all the New England states, New Jersey and New York. The locations were each acquired "at an extraordinary price" and average 40,000 square feet, principal owner and CEO Mark Perlman said. The Salem location is expected to be open sometime this year, with the end of 2019 the company’s goal, a spokesperson told the Lawrence Eagle-Tribune. The 41-year-old, privately held discount retail chair reports $675 million in sales across its current 133 stores.